This two day event would see some 400 archers plus organisers descend from across the UK to Catton Park in Derbyshire for the 2014 NFAS National Championships. Over the course of the weekend archery skills would be tested on two separate courses across the park grounds. Each course would consist of 40 targets with 30 paper faces and 10 3Ds. Since Sharon and I would be shooting in the hunting tackle category we would shoot A course Saturday which had been laid by Wolverine Archers. 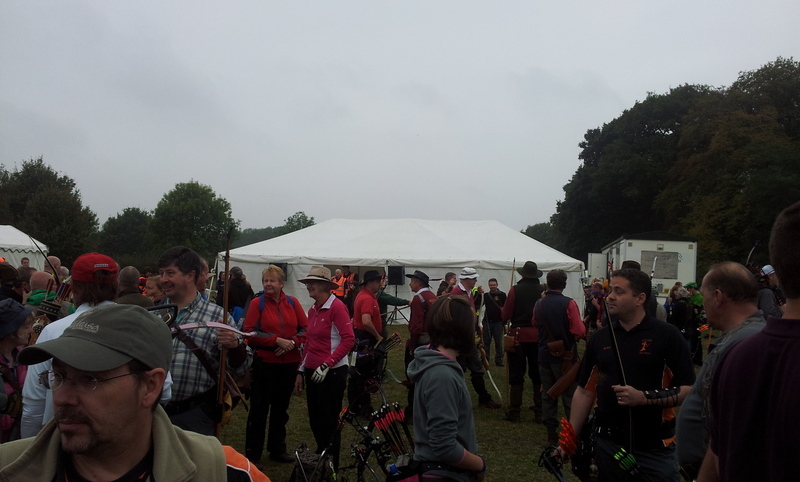 Then B Course Sunday set by a group from Duvelle Bowmen, Cheshire Oak and Lyme Valley Archers. Due to issues with finding volunteers to lay the courses this year there would only be two courses and places were capped at 400 archers. This resulted in places filling within a few weeks of the booking opening, helped by a very efficient online booking system. I think the difficulty with finding volunteers had arisen because of the 3D championships. The 3Ds event normally has four courses, having been hosted in the East Midlands for the past four years has used up the good will of many clubs. Maybe it’s time to move the event round the country but this means finding a suitable venue and willing volunteers / clubs to set the courses. Anyway back to the shoot report. It would be fair to say i was feeling really rough on Saturday with my head spinning every time I lowered it. This was not due to a night on the town but I think a head cold that was and still is affecting my ears and sinuses. Not a great way to start the day. Saturday was a bit grey and overcast with flat light and light showers as we set off up the track to the course . A course was situated on a wooded hill a short walk from the mustering point. This poor light made some of the longer shots very hard to see in the wood. The result was archers taking 3 arrows on many targets as they couldn’t see if they were in or not. 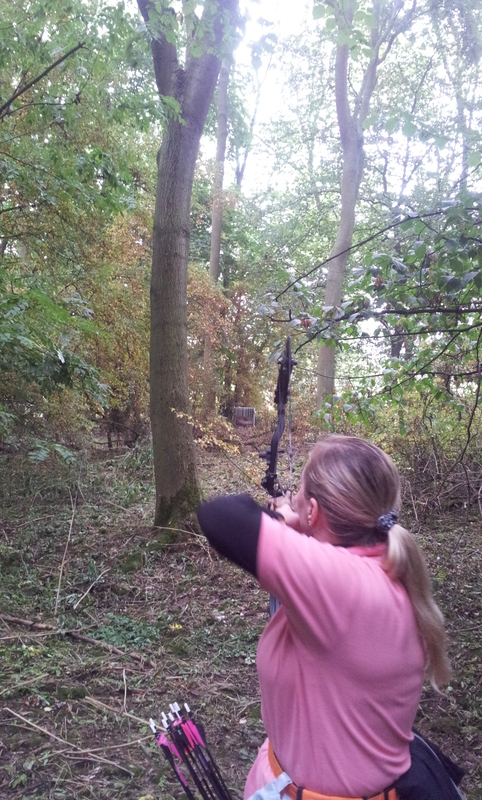 I must say a huge thanks to Shirley and the rest of the shooting group who kept my spirits up all day. 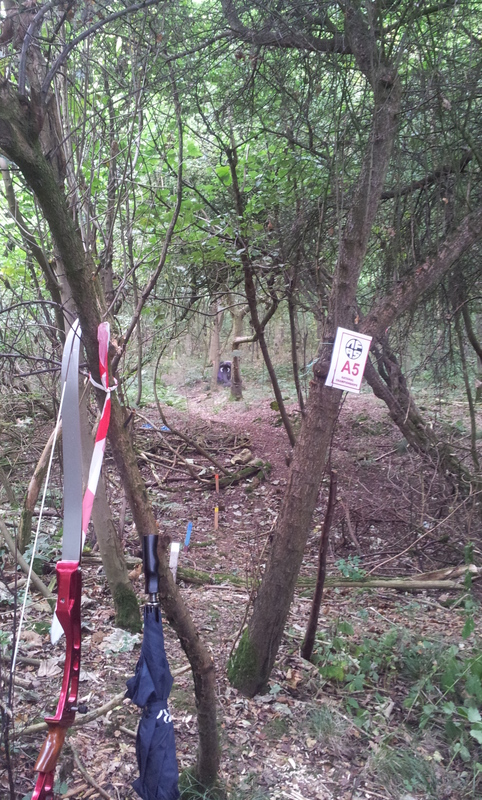 By half way round I was feeling shattered and grateful to the group for pulling arrows, in return I opted to mark the score cards, which is something I normally try to avoid. 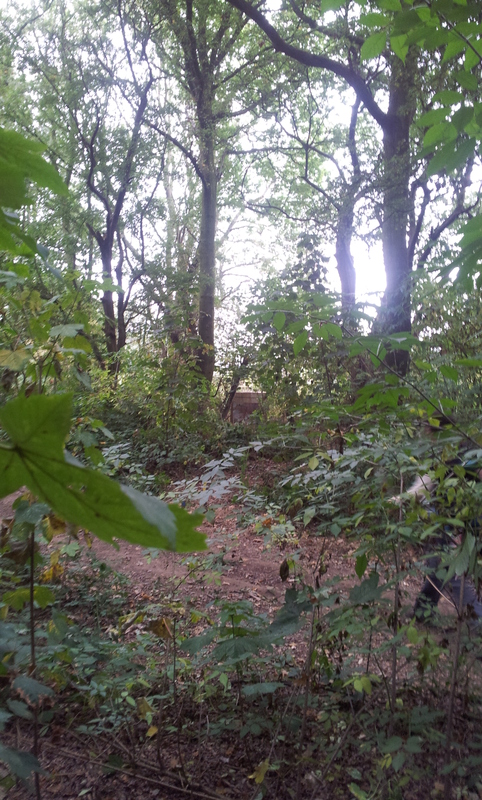 With the poor light and the distances of the targets there were the inevitable delays at some shots, the worse being the downhill rhino at about 50 yards. 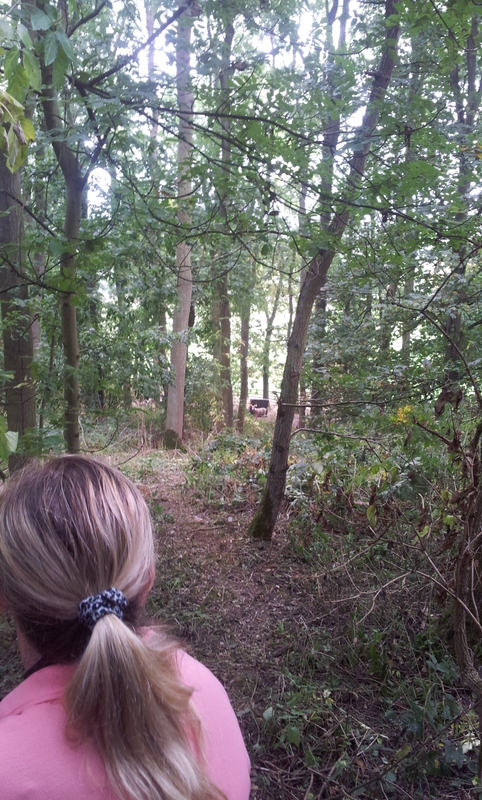 When we arrived we were the third group waiting to shoot the target, nearly everyone taking 3 arrows. Later in the day they stationed a marshal down by the target to let people know when their shots were in. 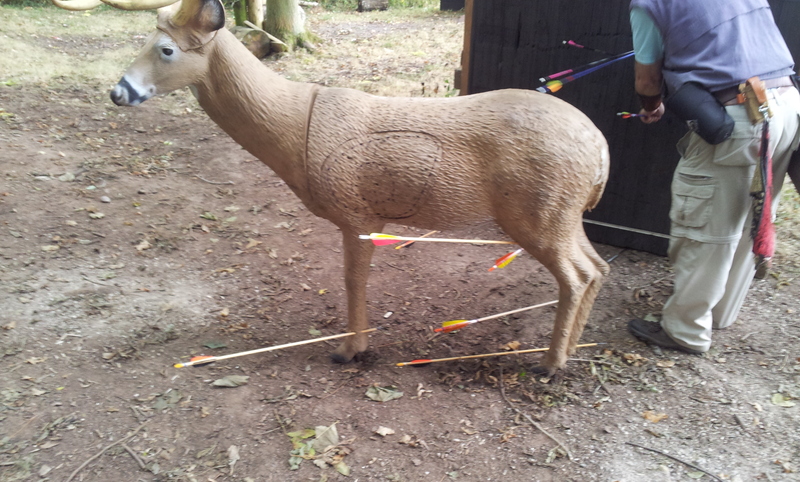 One of the best shots was a downhill 3D deer where I had a very lucky leg shot. In all I think it was a good course though some people did comment that the junior pegs were a bit long and I think that might be a fare comment for some of the shots. In all though a good course I just wished I could have done it justice. Thanks for reading, part 2 will follow shortly.